Some people who are qualified to become U.S. residents are nevertheless not admissible because they have violated rules and regulations (Immigration & Nationality Act 212). In some circumstances, they may not be eligible to receive a visa for a period of up to ten years. A person may get around their ineligibility by applying for a waiver. This requires you to show that your absence causes extreme hardship to a U.S. citizen or resident husband or wife, parents or children, under most circumstances. For people who have been in the U.S. unlawfully for more than one year, new regulations allow you to file your Waiver application while you are in the U.S. before your interview at the U.S. consulate. Under this type of Waiver Application, you must show extreme hardship to a U.S. Citizen husband/wife and/or U.S. citizen parents. The Waiver application must demonstrate, by supporting evidence, the hardship your qualifying relative will suffer if you were not allowed to return to the U.S. This requires collecting medical and financial documents and preparing a well-drafted declaration. If the application is approved, it will allow you to get an immigrant visa and to enter the U.S. as a resident to unite with your family. 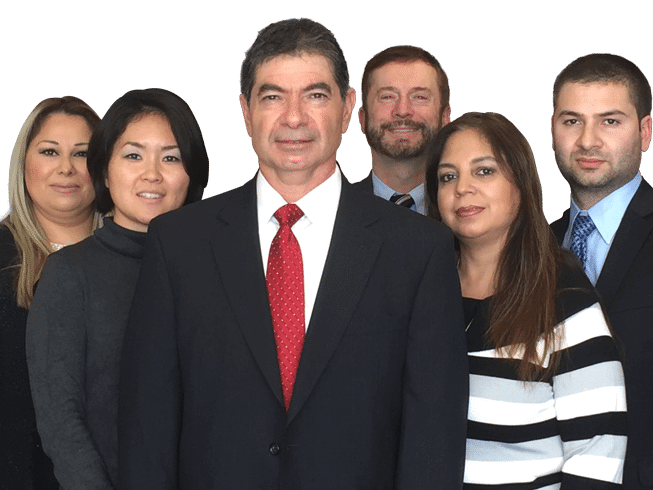 Get in touch with our team at the Law Offices of Henry Haddad. Our Los Angeles immigration attorney is here to help you through every step of the process until you arrive at the outcome that you need. Start with a free case evaluation, during which we can clear up any confusion and answer all of your questions.